Photoshop can be both a blessing and a curse. Undoubtedly, for many of us, it is a necessity to create the kind of images we desire. Like every piece of software, however, there are things that make our life easier and things that drive us insane. 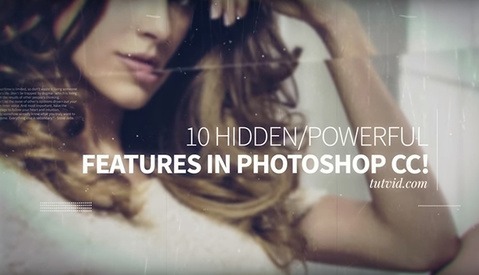 Nathaniel Dodson from Tutvid has made an extensive video exploring the top 10 things he hates as well as loves in Photoshop CC. I have to say that the list is pretty good. I will whole heartedly agree with number 9 in the hate list. I currently use the Retouching Academy Panel and am infinitely grateful that they placed the Save For Web button right on their panel. Saves me having to dig through the menu under the legacy tab each time. So how do you feel about this list? How does it stack up with your own frustrations? The magnetic lasso tool is pretty useless. 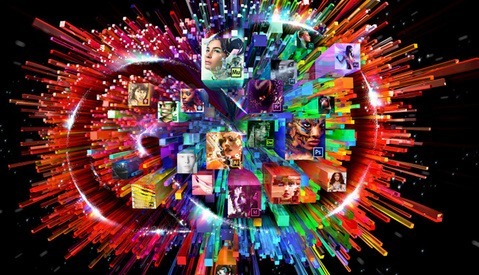 PS doesn't get better because there is no (real) pressure on Adobe to improve the product. 99% of photographers say similar things such as "It's a horrible product, but everyone uses it" and therefore the pressure for Adobe to change doesn't build. Products improve when the market forces them to do so. So it is about the market and putting our money elsewhere. LR is becoming a similar monstrosity to PS. The software is slower by the day and Adobe doesn't fix it (and probably never will). I have dropped Adobe's products for the same reason and use Capture One + Affinity Photo today. YES YES YES! I have met with various Adobe engineers over the years to get them re-engineer many tools and add "reset" buttons where needed. More than ten years later...NOTHING. As a software engineer, I have added a few tricks to various software and even collaborated on projects to speed up thumbnail previews (something Adobe is seriously lacking). I too have completely switched to Capture One workflow and couldn't be happier. I spent 20+ years in software development and I have to say that Photoshop is a pretty impressive piece of software. I think the developers at Adobe deserve a tip of the hat. I agree with the list and would like to add that I don't care for the tiny little sliders on most of the adjustment tools - be nice to have a way to enlarge them - and the lack of shortcut keys for marquee styles. And I agree that the guys who wrote the program need a tip of the hat - at the very least. I don't know if anyone else here has experienced this, but when I first start PS CC, no hotkeys work until I select a tool, any tool. Then hotkeys work. So if you open up PS CC and Ctrl/Command-N to make a new document, nothing happens until you select a tool other than the last tool used in your last session. Another annoying trait is that tools reset themselves to their default settings, and do so intermittently. So the healing brush will be back at the spot healing brush, and the polygon lasso will be back at the default lasso, etc. Again, intermittently. My biggest complaint is that Adobe simply lied to all of us regarding the benefits of subscription software. I was one of those folks that saw nothing wrong with software as a subscription IF Adobe backed up the benefits with ever increasing improvements and bug fixes as they claimed they would. Instead they've continued to offer large "point" updates and yearly "upgrades" rather than improving tools and squashing bugs promptly, as well as bringing features to the different software titles when they're ready. Also, the entire suite (still) has so many inconsistencies among tools, features, UI and incomplete overlapping functions that it's (still) a messy conglomeration of software titles rather than a tight-knit module-like toolbox for creative media projects. Everything except Smart Pixel Guides in that LOVE list has been available in Photoshop since CS2 (2006!) with many features since the beta inception of the software in 1989. Curves?! Really?! Has there ever been photo manipulation software created/released "without" curves? I gave up on Premiere and After Effects because Adobe was too concerned about being 'cool' - introducing a UI that would appeal to the iPad generation, rather than sort out the usability issues professional editors were requesting. Even Adobe staff agreed that the illegibility of the colour scheme was an issue for those of a certain age - but were powerless to do anything about it.